Hive is the real-time collaboration platform that powers the fast pace at companies like Starbucks, Uber, WeWork and The Economist. 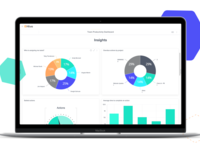 Give your team the flexibility to manage their projects in the way they work best and easily track progress and spot risks with Hive Analytics. Hive also integrates with thousands of applications to make it easier than ever to connect all your work in one centralized place. Pros: one of the best features of the tool is the ability to view projects in different ways. 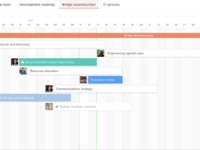 Be it as a schedule, status or Gantt view. Cons: Unfortunately the mobile app version of the platform still has many problems. It is necessary to change the visualization of the tasks and to improve the speed of access and update, the simple act of changing the menu options generates a lot of loading time. I believe that the mobile version needs a complete overhaul, I've already tried to use it on the iOS and Android platforms, but the problems are similar and many members of my team simply stopped using the app. Overall: My company works with local and remote teams. With Hive we manage and use human resources more assertively. Some of the tools of the platform, such as the management of estimated time to complete the tasks, helps us to work in this mixed regime. Overall: Hive brings our entire team into one collaborative workspace, allowing us to replace most emails with chat & task management. Samepage.io is also worth reviewing - haven't tried it but seems to also have a strong feature set at a similar or lower price, and includes video chat. Pros: It's really customizable. You can view the same project in a lot of different ways. It also great that you have a bunch of separate projects, but can view them all together with summary view. There are just so many options that it really fits the needs of my whole team. Cons: I wish there were more integrations, but I think they are working on adding more. Also, I would love if they could add time tracking, but besides that there isn't too much I dislike. I had some trouble figuring out the new forms feature, but the customer support team was really helpful in getting that resolved. Pros: I love Hive so much because this is the perfect tool for me and my team. 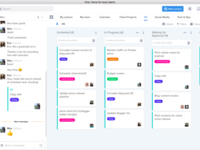 It's like trello and slack in one! The task cards are easy to navigate. Assigning or tagging people to the tasks is not complicated at all. The forms are being used for our clients' job requests and it works great. Cons: App and browser - sometimes logging in is hard because it loads really slow. Some of my team members are always complaining that they cannot log in to hive, just seeing plain white background. I hope you can improve that. Pros: I like the fact that it consolidates the functionality of Slack, Trello and other project management software packages into one. I work remotely and it's easy to stay in touch with other members of the team on a minute-to-minute basis. Cons: I can't get it to work reliably on my iPhone, despite updating it regularly. I have an older phone (5s) because I just like to have a smaller phone to carry. Soon this needs to change, but for now if I get notifications from Hive I have to find a place to pull up my laptop. Overall: As I mentioned above, working remotely can be difficult but I've been able to stay connected to my business partners using this software. Pros: The syntax of hive! Its almost SQL so its easy to use. External tables, partitions, buckets, UDFs all the features I like to use with hive. ORC data format occupying lesser space and retrieving the data much faster. The Hive is intended to simplify your experience with Hadoop and allows developers and business analyst apply their SQL knowledge to query data, build reports, build etl etc. To be able to run map reduce jobs using json parsing and generate dynamic partitions in parquet file format. Cons: Hive is comparatively slower than its competitors. Its easy to use but that comes with the cost of processing, If you are using it just for batch processing then hive is well and fine. It also does not have as rich of a scripting language. Pros: Flexibility for just a task or an entire project. Also like the public and private options. Cons: Sometimes I lose things! But that is probably me needing to use filters more efficiently. Also, if you check off a completed task within a project, it removes it from the project - so attaching files to the project (not the task) keep them accessible for length of project. Overall: We have hundreds of projects in a calendar year. Hive allows us to make assignments to team members, consolidate files, and assign start/stop dates so that projects don't get missed. It has been a valuable tool for us. Pros: I'm a designer at a small agency, and we have as many as 12 different client projects going on at the same time. Before, figuring out priorities and deadlines was organizational chaos. With Hive, I know what's due when, who's working on it, what the feedback is, what the status of the project is, and all at a glance. I love the built-in messenger and different layouts for viewing projects. The small touches like custom messenger statuses and built-in giphy make Hive fun to use. Cons: I think the notifications section needs some improvement. I'd like more settings for how and when I receive notifications. My bosses are out of pocket a lot of the time, and we haven't been able to figure out how to make sure they get email notifications for the right things. Right now we're still relying on email for some internal communications, but I hope that won't be the case in the future. Overall: Intuitive UX design: check. Customization: check. Small expert touches: check. This software makes managing projects and seeing where all of our projects are at a breeze. Cons: Its a newer product and some of the features can a be a bit buggy from a user interface perspective. In part, I think this is from having a quite large set of features included compared to alternative platforms. However, the team is really responsive to bug fixes and none of the bugs compromise data or use. Overall: It has been great to have everything in one place: team chat, task management and tracking, and project management/scheduling tools. Team is really responsive to feature requests. I think this is already a good choice compared to alternatives, and it will be easily the best choice if they continue this trajectory. Comments: This software is really cool if you want to automate things in your house such as your heating and lighting where you can use sensors for when you walk into your house they will turn the lights on automatically. The app they offer is really easy to use and very straight forward. The downside is that sometimes it lags so if a sensor goes off it does not turn the lights on right away. In summary, the idea is really good and the execution is good but the reliability needs to be worked on as it does not always work. Pros: The organizational methods, grouping actions into their progress status, and viewing actions of all the members makes working together as a small company much easier. Cons: That projects do not immediately show up on the pinned bar to all members that can view the group and that there isn't a more consolidated area to specifically attach files in each project. Overall: Hive makes it easy to organize data and consolidate information through grouping together actions by their progress in their assigned project. It allows everyone to know what is going on and what needs to be done. Working in multiple locations in a small company makes it hard to always communicate all your actions to your coworkers, but Hive provides a great way to keep everyone updated. Pros: Hive provides a clear and easy way to create, assign, handle, and complete tasks of most types. It allows sub-actions for tasks that provide a granular approach to complex tasks which allows for easy tracking. I love the fact you can 'drag and drop' attachments right into tasks. We found it very helpful to assign specific sub-actions to certain members on the team. Cons: I don't like how the message center on the left can't be adjusted to resize the portion used for 'groups' vs. 'direct messages'. Pros: Has so many features and integrations! Incredibly easy to use and there is so much flexibility in what you can do with it. They are always improving the product!! I absolutely love that you can message with your team in the same place! It eliminated us having to use two different softwares such as Slack and Asana. Cons: Nothing to not like! Hive is incredible! Pros: It is very easy to use the software and get it up and running. But the customer service team was exceptionally helpful when we had questions. Cons: The integrations weren't flawless at first, but it is improving. Overall: We use hive to manage multiple projects with teammates and consultants. This has been a great software to do it and we have been exceptionally happy with both the platform and the customer service behind it. Trello and Slack combined in a single app..
- Simple to advanced project view options. Cons: - Its keyboard shortcuts are not perfect. Yet, improving. Overall: We were looking for a team communication app that had a Kanban Board so that we wouldn't be using 2 different apps for communication and project management. Hive was just we needed and it delivered as expected. The app works flawlessly, fast and no surprises. We are very happy with it. We use this at work as our main project management and task management software. Pros: It's pretty simple to use for the most part. It's nice to be able to create teams based around projects and see where everyone is at. It's easy to see what tasks you have and assign a date for completion. Cons: Can be a little unintuitive at times, for instance, where you need to click a certain area to add people to a project took a bit to figure out. People will often make the mistake of adding the whole office to a project or task as well. Overall: Better communication and an easier time knowing where others are at on projects. Pros: I love that Hive is continually expanding their functionalities. They are also very responsive. Cons: The privacy button notification can be confusing. The mobile app needs more work but it is actually much better than before. 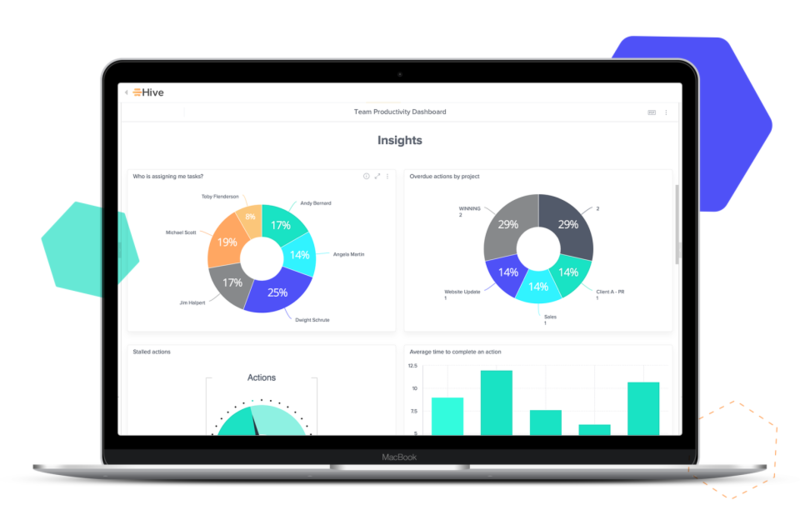 Overall: We really loved using Hive for our project management. They are responsive and work hard to improve their product. Cons: Actually there is nothing that I do not like, since it is what we have really had very organized in the company. Overall: We had been looking for aplications that would help us stay organized, and that our bosses could see what we were working on. In hive, they can see what I'm working on, how long it will take me to completed a project ad when I finish my project. It is really fantastic. 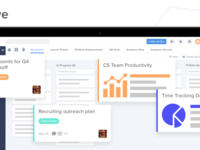 Pros: The company I work for recently started implementing Hive as a project management tool for all departments and organization has improved significantly. Hive is easy to use and he UI is very straight to the point, it keeps your daily tasks at hand and helps bridge the gap between departments. Cons: The desktop versión takes a while to load on some computers, which can be annoying when in a hurry. Pros: Besides the tasks management being perfect, it has a time tracker so i can easily check how much time i spent on my work. Cons: Honestly, i think is perfect. The costumer support is great at resolving any problems found while using Hive. Pros: I love that everyone at the office can interact and follow up their on-going activities and everyone can see on real time what's going on. I really like that I can also measure everybody's productivity and accomplishments. I love all the tools and views that you can get to see the information that's on the table at the time. Cons: I think what i liked the least was that i had it maybe a little bit rough to get started with, but once i got to understand it, this is a tool that has a great potencial. The app is weak i guess, since a work a lot on my phone and ipad i think the app has a lot of opportunities to work with. Overall: I love everything i can be able to do and measure at any time on my phone, ipad and laptop, so i love to give a follow up wherever i am. Pros: I really like how organized Hive is designed and the ability the create custom views. The program is feature-rich, with templates, timers, snooze, priority, Slack, Google drive and GitHub integrations, time tracking, and resource management. Hive has really useful built-in apps like News, which we use to keep our office up-to-date with the latest changes. New features are being added all the time so it's exciting to see them grow. Also, current features are being improved upon which is great. Cons: I wish I could invite "Lite" users, that are cheaper to add, but who can view and edit only selected tickets. Overall: Better communication and organization among our small team. Better management of longer-term tasks and projects. Overall: I've been using Hive now for many months, and it has only made collaboration with the teams I work with easy and efficient. It's very customizable, and their team continues to improve the product on a consistent basis. I've only had positive experiences with this product. Pros: I really enjoy all the options Hive offers, but I especially love their customer service team which always replies fast and does their best to make our feature requests come to life. I highly recommend Hive! Pros: It's a good task manager, especially if you work in teams. If you set your preferences correctly, you can view and have others view what you're working on, and collaborate in different projects. You can add attachments and comments to tasks, making it easier than sending emails with attachments or links to cloud services. it saves a lot of time and it's very convenient. It's the best task manager I've ever used. Cons: The mobile app is very bad, useless. (There are 2 versions of it-both of them are bad.) So if you're looking to add/manage tasks from your phone, forget it. The most you'll be able to do is see what you're working on, but not make any changes. Excellent tool to keep you focus on the task at hand. Pros: Keeps me organized. I love how there are templates for actions so I never miss a step. Cons: White font on actions makes it hard to read. Not enough colors for projects. Great Resource for Small Nonprofit! Pros: The ability to view projects from multiple layouts (eg calendar, status, gantt). Cons: With so many options, it took a little while for our team to function on the same page. Overall: Hive allowed our team to better streamline and coordinate project management tasks, and played a huge role in eliminating unnecessary inbox activity. Cons: I'm not much of a kanban guy, and that's kind of how it behaves by default. Thankfully, they have a table view too so it's not a problem. Overall: Hive is awesome. Highly recommended! Pros: I actually enjoyed using Hive. It relieved a lot of stress from my job. It offered more flexability. I am no longer tied to an office or specific time If I do not want to be. Hive enables me to communicate with my team remotely. It handles pretty much all aspects of a project. From conception to completion. Cons: There was a learning curve for me. I can usually jump right in with new software this took a little more time and effort not too much though. Pros: I love that everything about a project is in one place and accessible to all. It makes tracking, managing and keeping up with the team easier. Cons: Some feature like Gantt charts are not available. There are also some integrations we'd love to have but aren't available. Pros: Super simple, pretty much has all the tools we need. Cons: Want to see them add Gantt charts. Overall: Great tool, use it to run my marketing team across US & Canada. Been happy with it for 6 months or so now, and they add improvements quite regularly. Recommendations to other buyers: Pretty quick customer service, worth asking them if you want new features. Pros: It is quite easy to organize and manage tasks. Customer support is also excellent. Cons: Some bugs in the desktop app. Also the readability in a task could be improved. Pros: Very easy to use & simple navigation. Simple software & great interface. Cons: Lack of integrations with things like Google Calendar and Zoho. Cons: Nothing. Everything is great. I have not complaints. We really wanted to love Hive. 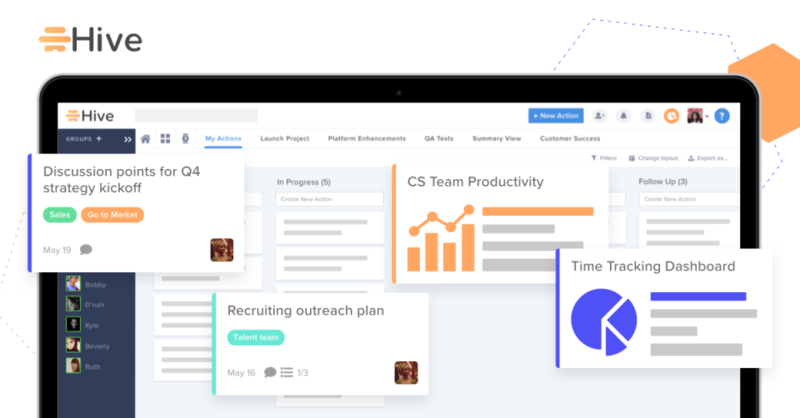 Pros: It has everything your project team could possibly need, all in one place! It makes it really easy to chat about a task and complete it at the same time. i loved being able to copy an email and the email show up as a task in the specific project. Cons: There is nothing imensely wrong with this product, it just wasnt the right fit for my team. With that said, it had every feature my team was using and it was all in one place. i was certian this would be perfect for us. In the end hive ended up being too difficult to integrate into my teams normal day to day. Because of that we had to let it go. Pros: I can walk around my establishment, snap photos on my phone, make a quick to do item, and assign it to an employee. I get confirmation that it is done when they finish it. Simple management by walking. Also, the Gant chart, drag and drop list items to increase or decrease priority. Cons: The app on my phone will need refinement over time. Overall: I can get rid of whiteboards, and go digital. Manage group think and conquer projects on the fly! Pros: Hive makes it easy to communicate with colleagues and the integration of outside apps makes it seamless to work on projects that may already be using multiple other applications. Cons: The interface tends to appear a little "busy". I'm hopeful that a future update will improve and trim down the visual experience of the software. Overall: Hive is awesome for communicating with your team and managing projects! Pros: That is very easy to use, I loved the design of it and I really enjoy the fact that it offers lots of features such as chat, task management, organizing, etc. Cons: Sometimes it crashes, but aside from that everything's been great so far. Overall: We, as a company, organize all of our daily tasks and projects on Hive. It's been great for establishing due dates and look at the time every task takes us. Want to jumpstart your teams' productivity? GET HIVE! Pros: The personalized customer support is phenomenal and made us feel like we were the only customers! Our team loves having the chat bar right inside of Hive to minimize the need to switch windows. Cons: The software needs to have a dashboard where it pulls data from the individual projects and gives you a dashboard of all project status in one view. Pros: It makes organizing projects and results so easy. Each team member can review and comment on results. Overall: I would say my overall experience has been excellent. Pros: If you're looking for a good project management tool for your small business this gets the job done well. It's easy to see where people are on projects so you can stay on the same page. Cons: It feel a bit new and a little rough around the edges, but they've been adding improvements which is great. Comments: Hive is enabling us as a Company to improve employee engagement. I would highly recommend Hive. Cons: I would like to see more surveys/features added, but I know this will happen in due course. The Platform is still quite new so finding it's feet. Pros: I love the fact that it helps me assign tasks to my team and know what each of them is working on. Pros: Love that it keeps all of my projects organized and includes a chat feature! It's the perfect mix of an Asana and Slack. Cons: Some of the features are lacking, but I've been in constant communication with my rep. Overall: It's been great so far! I do wish some of my feedback was put into effect quicker. Pros: The best part about Hive is how you can connect different tools my team and I are already using to it - like Dropbox. Cons: It is a bit pricey for the functionality, but definitely the best solution to integrate a number of different business tools that we are already using. Pros: Its payed plan with machine learning functionalities, that learns from actions and time required to complete them. Cons: It has a steep learning curve because of its vast range of functions that accomplishes. A excellent solution to organize everything our company does! Pros: Being able to organize, label and prioritize tasks in one place has helped the efficiency of our business. The in app chat feature is very helpful too! Cons: We don't have anything negative to report yet! Comments: We are considering moving back to our prior vendor. Pros: I would say ease of use and features and functionality, but they only work on occasion and are not as advanced as other tools. Cons: The ease of use is fine but there are so many bugs with this software. We recently moved to this new hosting platform and can rarely ever log into our back-end intranet to make updates. It constantly logs me out after seconds of being logged in and customer support hasn't been helpful in figuring out why. Pros: I really like this software. It integrates some different ideas that are helpful. Such as using a Status View, Team View, Calendar View, Label View, or Gantt view when setting up a project. It also has a great platform for collaboration. I also like the mobile app! Cons: I think it would be helpful to have a rick management area for this software. Or at minimum an issue tracking area for project risks. 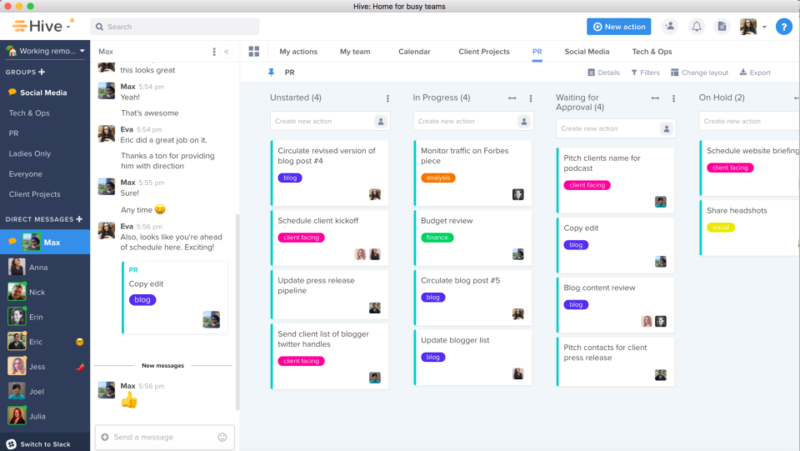 Overall: This is a intuitive and fun to use project management software.